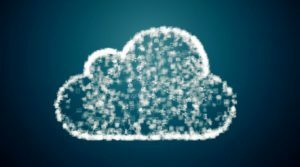 A newly released report reveals that cloud computing advances are a driving force for large enterprises — including, of course, those in the health care and retail banking segments — to modernize their application platforms in spite of large investments they may have made previously in legacy systems. Large enterprises have dedicated in-house IT resources, and with large IT budgets, they can consider a variety of application modernization strategies. In addition, they have a global presence, high market share, technical expertise, and an effective business strategy. The state of healthcare electrification and retail banking tech would undeniably fall under this umbrella. We’ve heard from a variety of players in both industries: they want to modernize their platforms. Take for example on the revenue cycle front. Revenue cycle companies have rooms full of specialized data entry keyers to extract information from remittances and various forms. They want to modernize their platforms to deliver faster, more accurate results without expanding operations. On the banking front, there is a major initiative at the big bank level to migrate toward a payment hub with expanded capabilities. The desire is to consolidate platforms as well as deliver new payment solutions, i.e. immediate payments. When the platform modernizes, so does the need to automate the payment processing originated from paper transactions. That’s where a company like OrboGraph fits in. A modernization effort incorporating web-services, accessible from anywhere on the enterprise, combined with significant speed improvements, new security, AI which delivers near 100% data extraction and expanded functionality in both features and fraud prevention, lend themselves toward this strategic improvement and investment. If you’d like to hear more, make your plans to attend the 2018 Healthcare and Check Payment Technology Conference on May 7-9, 2018, at the Union Station Hotel in Nashville, TN. The check out the agenda as it relates to Payment Wars and AI! Don’t be left behind!